The Stonehill Dresser and Mirror Set with its casual transitional style, offers clean lines and a fresh look, featuring angled cut feet, weathered oak finish and cool concrete textured tops making this set a perfect option for your home while giving you the bedroom decor of your dreams. This Collection has a remarkable presence with an interesting design and creative fun style, it will fill your bedroom with exciting ambiance! Consider the options available to you through the Stonehill Collection. 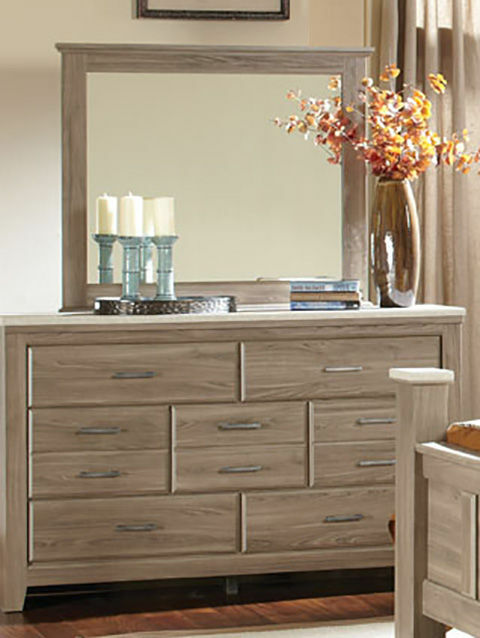 The Stonehill Dresser and Mirror Set is a great choice for your bedroom, but you can also add other pieces of this collection, as all pieces are offered individually, allowing you to choose the furnishings that are a fit for you and your bedroom spaces. Put some “WOW” in your furnishings with Stonehill! 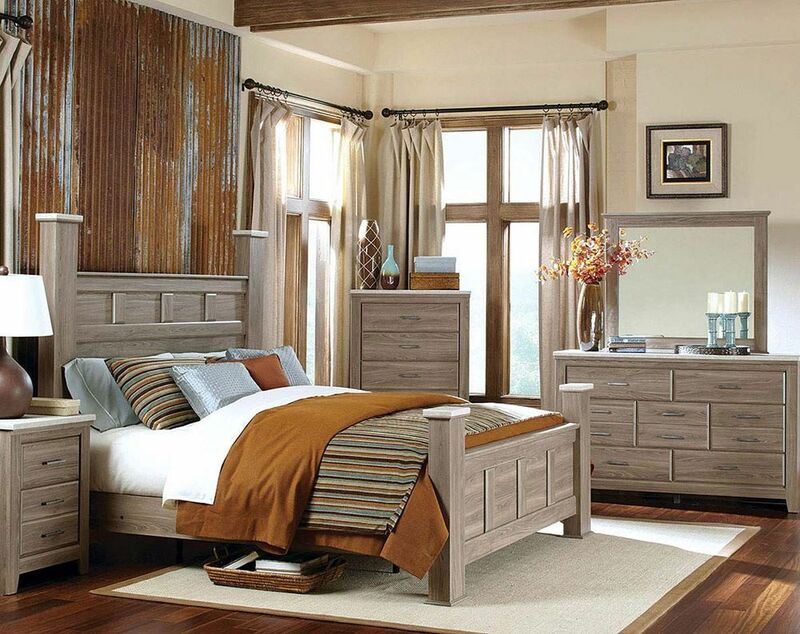 The Stonehill Dresser and Mirror Set, with its casual transitional style, offers clean lines and a fresh look, featuring angled cut feet, weathered oak finish and cool concrete textured tops making this set a perfect option for your home while giving you the bedroom of your dreams.